Mary Hunter Johnston’s credited role in “Same Kind of Different As Me” opened the acting door for the 2017 Jackson Academy graduate and gave her a chance to step inside one of her favorite books. “I really enjoyed the experience and would do it again if I have the opportunity,” she said. The movie starring Renée Zellweger, Greg Kinnear, and Djimon Hounsou is based on the book by the same title, about a wealthy art dealer, a homeless man, and the woman who brought them together. The true, inspirational story became a best seller. Mary Hunter’s dad, Stephen D. Johnston, was a producer of the movie filmed in metro Jackson in fall 2014. They made sure the cast felt at home while filming, having them over to the house and taking them out to dinner. 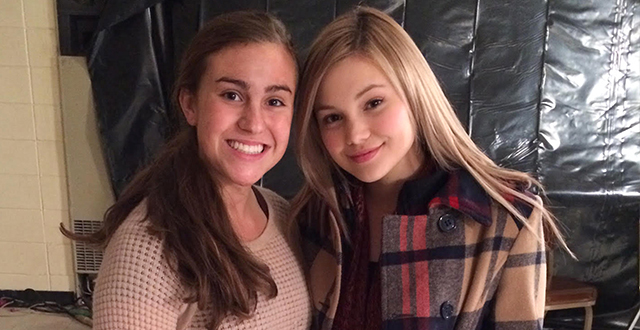 Spending time on set with Olivia Holt (Disney Channel’s “I Didn’t Do It”), who played the lead couple’s daughter in the film, was a particular treat.